Features: Low glycemic index, with protein rich quinoa and mung beans, calcium and iron rich greens, and Indian home/comfort food taste! 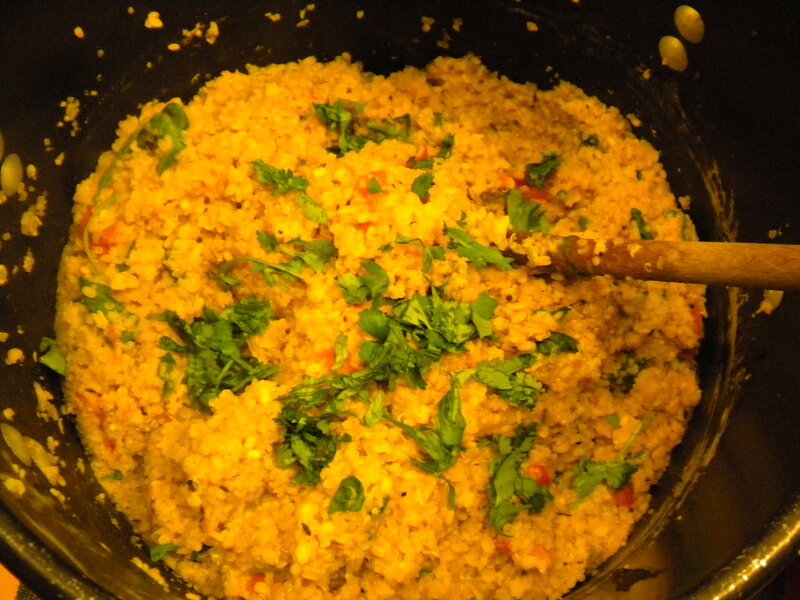 Bring to boil on stove and then lower heat, stir several times, until both grains plump up. Keep heat on low while you add the rest of the ingredients and add water as needed so the mixture doesn’t stick. First time here to your website, lovely collection of recipes and articles. How long should you have the quinoa and mung daal cooking for? If you’ve soaked ahead of time, about 10-15 minutes… you’ll see when they plump up.